On the first day of the new year, you write on your journal: START EATING HEALTHY. But the second you go on social media, you’re immediately discouraged by a tempting chocolate cake picture. But you’re not a quitter, and you know that you can stick to your healthy 2018 resolution while still treating yourself to something good. 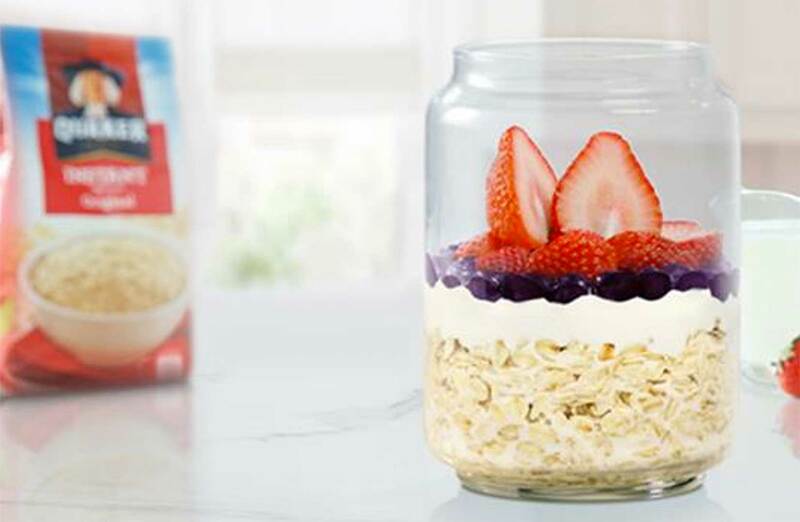 Quaker Overnight Oats lets you indulge your health nut side and your foodie side. It’s an easy, healthy, and delicious breakfast that’s packed with fiber, protein, and beta-glucan, plus a whole lot of flavor from a wide variety of toppings. Just the right balance of tasty and healthy to help you achieve your 2018 #healthgoals.